On his first day in Hell, a man called Strife walks naked and confused through a desert. 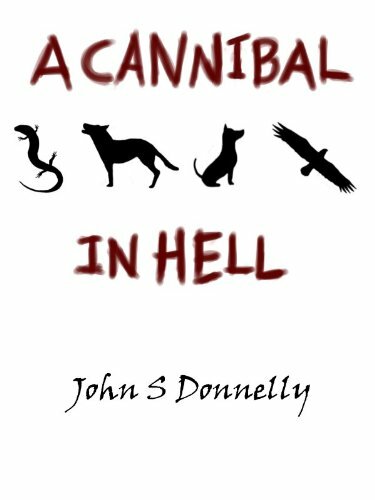 He misses his stolen lover, but he will not be lonely for long because there are cannibals in Hell. Strife is a man reborn in Hell who remembers only his name and two other things. First, that Rise is the woman who was taken from him. And second, that Yaw is the man who stole her, and who by this condemned Strife to Hell. If Strife is to re-unite himself with the woman he loves, he must fight through the varied realms of Hell and face its monstrous Lord. Oh, man! This is one tough cookie to crack. At least I believe it will seem so. In my younger days (meaning some 4 years ago ), I was really into Kafka and Boris Vian. If you’ve ever read any of them, or a similar writer, you will surely feel delighted with this little gem right here. If you do not favor the surrealistic genre though, this may prove to be a bit of a heavy read. The first two chapters played well into what I thought was a highly surrealistic take on spiritual metaphors; I was mesmerized by it, truly seduced. The seek, the struggle to Rise, the Yawn enemy, the birth and rebirth from clay day after day, the consumption of flesh among men to become the king lizard, I was basically in love. It has been quite some time since I have read something so original, daring and uniquely beautiful. Then came the part that has attracted my 4 butterflies rating, instead of a “out of this world awesome” 5 butterflies: the part that painted the whole beauty, the whole glory of the first in shades of possible rationality. I felt somewhat disappointed, like the author had abandoned a beautiful possibility. And then the lovely Strife made his way right back to the land of metaphorical existence, slowly fighting his way back to the land that touched the sky. And I felt truly happy. Though I regret to have sprouted some spoiler-y material, I trust it will not ruin your read. Overall, this is the sort of literature that easily falls into the art category. It’s a bit heavy, a bit dense, a bit peculiar, gloriously wonderful in its uniqueness. Some phrases, some images are of an outlandish beauty, and I would never feel I have sung enough praises for the first and last part of this beautiful work. The middle, the more down-to-earth part, makes perfect sense in the overall message, of that I am quite sure, but if it’d be up to me, the whole piece would have been in the daring, courageous tones of the first and last part. Though I do highly recommend this beautiful work to anyone that enjoys meaningful reading, I am aware this sort of read is not for many. But do give it a try, if you’re brave, if you’re bold, don’t miss out on this. I find it quite gorgeous!